The Reserve is entrusted with the management of the precious wetlands that extend from Naples to the Everglades. 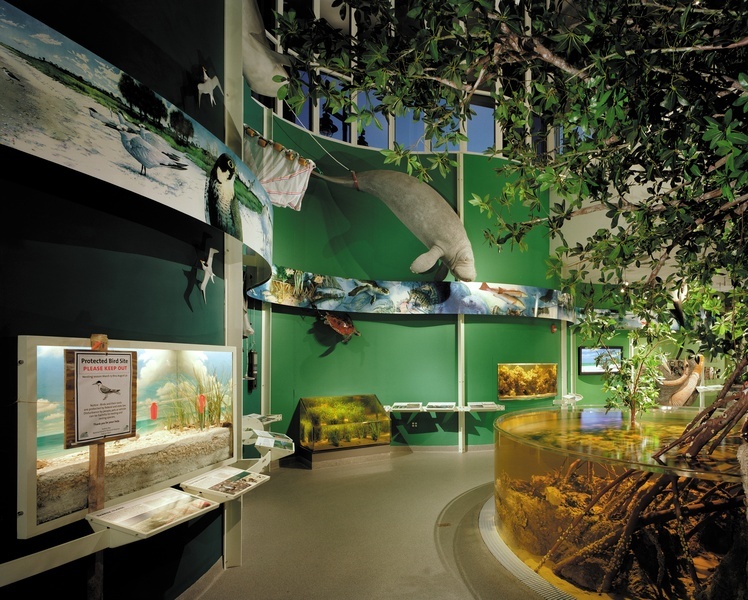 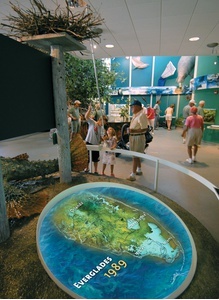 The exhibits highlight the reserve’s efforts at marine data collection, with photographs shot exclusively by site biologists and volunteers.The centerpiece exhibit is a mangrove aquarium that allows kids to monitor the intense underwater activity through a glass observation niche, while visitors also have a chance to interact directly with working scientists with the facility's unique lab overlook. Rookery Bay Reserve was inaugurated by President George W. Bush and Governor Jeb Bush on Earth Day, 2004, and is also the site of NOAA’s annual conference.